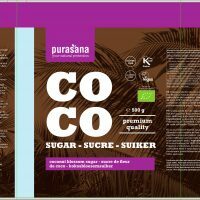 Coconut blossom sugar Cocos nucifera Coconut sugar is made from the nectar of the coconut flower. 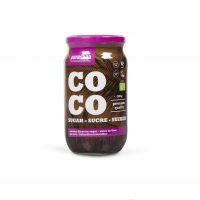 Aromatic, rich-tasting, delicious, unrefined brown sugar with a sweet caramel taste that adds warmth, depth and colour to dishes and pastries. 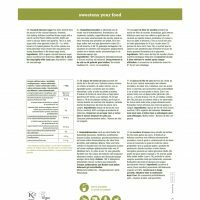 This is a slow sugar with a low glycaemic index (35 – the white bread index, for instance, is 75 and the boiled potatoes index is 78), which means that the calories are absorbed far more slowly and the fluctuations in the blood sugar level are greatly reduced. 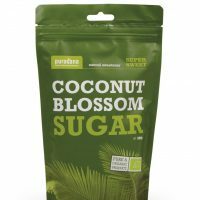 Coconut blossom sugar Premium Organic coconut blossom sugar, made from coconut blossom nectar. Aromatic, rich-tasting, delicious, unrefined brown sugar with a sweet caramel taste that adds warmth, depth and colour to dishes and pastries.